Dimensions 124'8" by 92'4" by 30'0"
Power plant Four 1850 hp (1379 kW) Mitsubishi MK4Q Kasei 22 fourteen-cylinder two-row air-cooled radial engines driving four-blade metal propellers. Bomb load Two 800 kg (1760lb) torpedoes, or eight 250 kg (551 lb) bombs, or sixteen 60 kg (132 lb) bombs or depth charges. 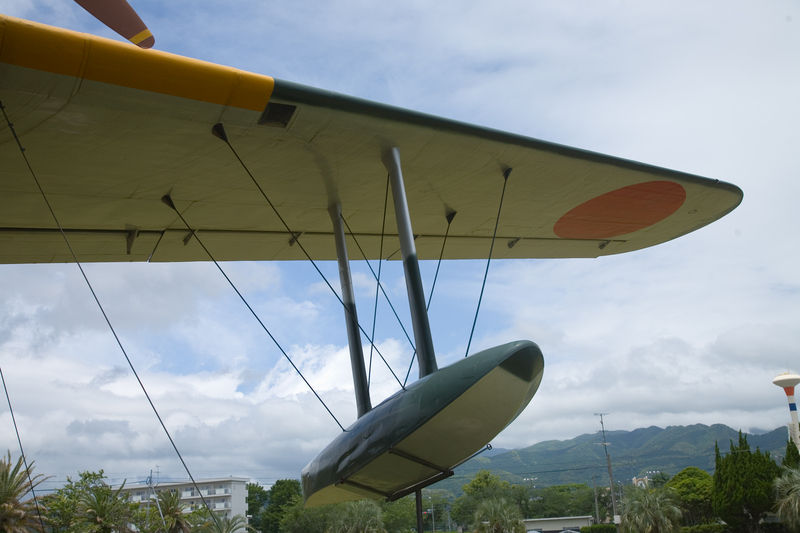 The Emily was the successor to the Mavis and was one of the few early Japanese planes that could fairly be described as rugged. It was well-armed and -armored and equipped with a carbon dioxide fire extinguishing system and partially self-sealing fuel tanks. 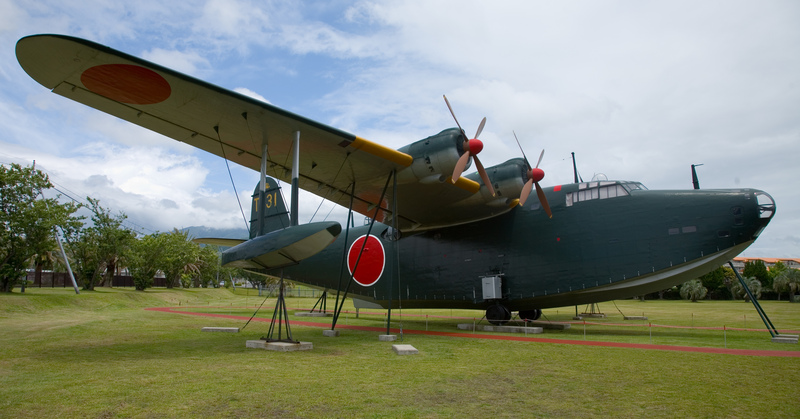 It formed the backbone of Japanese naval reconnaissance forces after 1942. 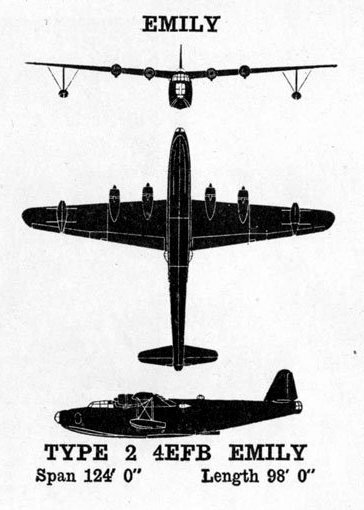 The design dated to 1938, when the Navy specified to the design team that the aircraft must exceed the performance of the Short Sunderland. Extensive testing in wind tunnels and water tanks produced an excellent design that was probably the finest flying boat of the Second World War. Allied fighter pilots considered it the most difficult of all Japanese aircraft to shoot down. Because of its long range, the Emily figured in a number of Japanese schemes to bomb the continental United States. Most of these involved using both Japanese and German tanker submarines to refuel the aircraft. Nothing came of these schemes. However, the Japanese did mount an operation to bomb Pearl Harbor using H8Ks refueled by submarine at French Frigate Shoals. The aircraft found the harbor clouded in, dropped their bombs at random (doing no damage), and successfully returned. 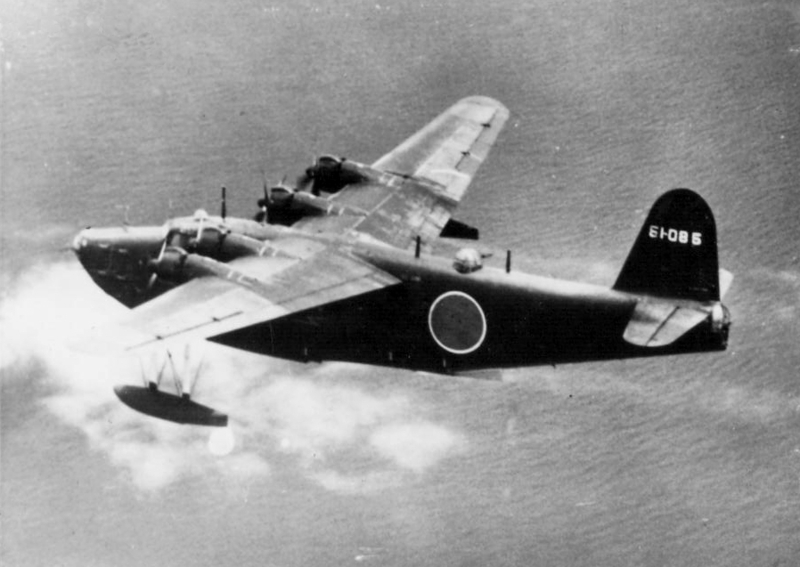 A repeat operation during the Midway campaign was canceled when an American seaplane tender was found at the refueling site: American code breakers had uncovered the Japanese plans. Starting in 1943, some Emilys were equipped with Type 6 radar.